When the Sarasota County Commission voted unanimously last month to side with the Siesta Isles Association in its appeal of a county stop-work order regarding its planting of new trees along the streets leading into its neighborhood, board members voiced vexation. They chided county staff for not trying to resolve the issue before it reached the point of an appeal. 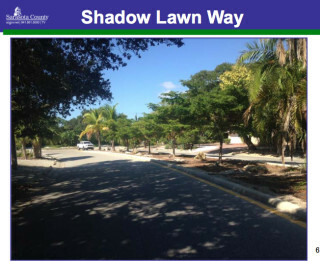 In response to that reproach, staff has proposed changes to the County Code and procedural adjustments to prevent future Neighborhood Initiative Grant recipients from being halted in their projects, as the Siesta Isles Association was last fall when it began pulling up mostly invasive-species trees to replace them with royal palms. During its vote on the Jan. 12 Consent Agenda, the commission unanimously approved setting a public hearing for the morning of Jan. 26 to consider the changes. That meeting will be held at the County Administration Center on Ringling Boulevard in downtown Sarasota. First, staff proposes a new requirement that the county’s Neighborhood Services Department staff send all Neighborhood Initiative Grant proposals involving landscaping and tree removal, replacement or plantings to the county’s Environmental Permitting team for review. That team will “evaluate the net environmental benefit and also have the opportunity to comment on any ‘right plant — right place’ concerns,” a Jan. 12 memo to the board explains. Incorporating that early review in the grant process “now ensures that any potential conflicts are resolved prior to the grant request coming before the Board for consideration,” the memo points out. Further, Neighborhood Services staff will send all proposals regarding the public right of way to the county’s Land Development staff “to ensure consistency with the Land Development Regulations (LDR)” that govern right of way work, the memo notes. 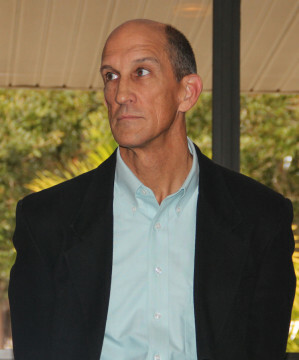 Additionally, the public hearing will include consideration of changes in the county’s Tree Ordinance to allow tree removal or relocation for landscaping purposes, including such action as part of “an approved Sarasota County Neighborhood Initiative Grant for work within a public right-of-way,” the Jan. 12 memo explains. The potential dredging of Big Sarasota Pass to renourish Lido Key Beach; and the proposed roundabout at the intersection of Midnight Pass and Beach roads will be among the topics Sarasota County Commission Chair Al Maio will address when he speaks to members of the Siesta Key Condominium Council on Jan. 19, the Council has announced. Maio also will provide an update on the facilities at Nathan Benderson Park, which will host the 2017 World Rowing Championships, a Condo Council notice says. The session will begin with registration and refreshments at 3 p.m. at Siesta Key Chapel, followed by the program at 3:30 p.m., the notice continues. The meeting will be held in the Fellowship Hall of the church, which is located at 4615 Gleason Ave., just east of Siesta Village. The notice adds that all condominium owners, association board members and complex managers on the island are welcome and encouraged to attend the event. “That’s a dicey issue,” Gaubatz replied, because it is more a matter of monitoring video than it is one of recording activities. 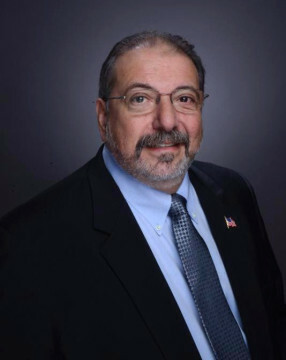 When Volpe asked if that reasoning was rooted in the expense, Gaubatz explained, “It’s really as much of an operational cost as an equipment cost.” However, he did point out that while a homeowner can go to a store and buy security cameras, “you have to have something that’s more military-grade that can withstand severe environments and vandalism” in facilities such as those at Siesta Public Beach. “We’re pushing to the foot candle — the allowable lighting by the Florida Fish and Wildlife [Conservation] Commission. They were extremely strict” on where the lighting could be installed and how much wattage it could have, Gaubatz noted. With its annual meeting set for Saturday, March 5, in the Community Center at St. Boniface Episcopal Church on the Key, the SKA is encouraging people to renew their memberships online. “We’re behind schedule by at least a month-and-a-half,” Membership Chairman Deet Jonker said during the Jan. 7 SKA meeting. Jonker added, “We need to come down to how we can make [mailings] more efficient, and do we want to continue canvassing all the taxpayers [on the island],” as they number about 9,000. When someone asked how many members the SKA has, Jonker replied, “We shoot for 1,300,” though he clarified that figure represents households. Some people think that if their condominium association is a member, he said, they automatically are members. That is not the case, he stressed. Many older island residents do not even have computers, Jonker pointed out, so they cannot renew their memberships online. However, he said, the SKA board will continue to encourage those people who are “computer-literate” to pay online with their credit cards. “And we are not raising the dues,” SKA President Michael Shay told the audience. Problems have arisen with the online payment system, Membership Co-Chair Beverly Arias explained, if people try to charge their membership to a different credit card than the one they previously used. The icon for online payments is on the SKA’s homepage, she pointed out. Shay also reminded the audience that their renewals entitle them to two tickets to the annual breakfast meeting, though they need to reserve space. The Community Center can accommodate only about 130 people, he added. “We hit that limit every single year,” he said, making it necessary to turn away interested people. After the next SKA newsletter goes out, Shay continued, the board will be ready to take reservations. Just email info@siestakeyassociation.com, he said, or call 364-4880. Board member Volpe noted that the only expenses the SKA has on a regular basis are those for its CPA, mailings, and development and maintenance of its website. The board members pay any expenses they may incur in representing the SKA, he told the audience. “I am originally from Springfield, Illinois, also known as ‘Mr. Lincoln’s Hometown,’” she wrote. “My nonprofit work experience includes a combined 12 years working for the Springfield Area Arts Council and Downtown Springfield, Inc. I applaud their ongoing efforts in cultural arts and economic development. I had the privilege of coordinating many community events.” Among the latter, she noted, were First Night Springfield, Children’s Art Festival, Old Capitol Farmers Market, Downtown Bacon Throwdown and the Blues & BBQ Fest.